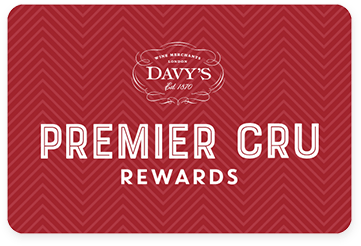 Premier Cru Rewards - Purchase this today and earn 67.5 points to redeem for free wine and gifts. This Domaine has been run by the same family for more than 160 years and has a long history of very fine wine making. Today, Caroline Drouhin, the six generation, also sources grapes from a close knit group of growers for a range of négociant wines, labelled as Maison Laroze de Drouhin. Aged for 18 months in oak barrel. Ripe blackberry fruits with a touch of earthiness. The palate is very concentrated, showing both roundness and finesse. The Drouhin Laroze family owns 11.50 hectares of vines including substantial holdings in some of the most famous Grand Cru sites in the Côte de Nuits. It all began in 1850 when Jean-Baptiste Laroze started a vineyard in Gevrey Chambertin. The vineyards were later taken over by his son Felix, who’s daughter married Alexandre Drouhin in 1919, who owned vineyards in Chambolle-Musigny. Five generations have been running the Domaine for over 160 years and since the 2014 vintage, Nicholas and Caroline Drouhin, the six generation, have increasingly taken the reins from their father Philippe. This Domaine has a long history of very fine wine making. Caroline also sources grapes from a close knit group of growers for a range of négociant wines, labeled as Maison Laroze de Drouhin. View our selection. They produce some Appellation Village under Gevrey Chambertain, Morey Saint Denis and Chambolle Musigny. They also own some 1er and Grand Cru including Musigny, Chambertain Clos de Beze, Clos de Vougeot, Bonnes Mares, Latricieres Chambertain and Chapelle Chambertain.